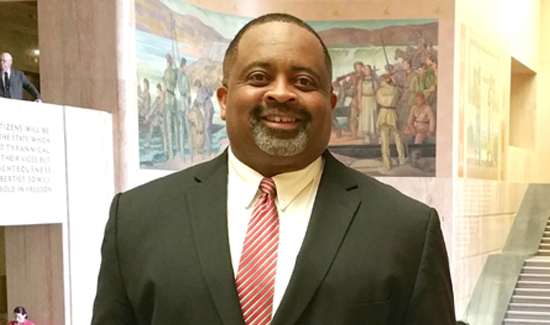 Daryl Turner is president of the Portland Police Association and the United Coalition of Public Safety (UCOPS). As Nazis and white supremacists continue to plague our communities with marches and protests, let us be clear that we condemn their actions, beliefs, and rhetoric. What happened in Charlottesville last weekend was despicable and deplorable. It was an act of domestic terrorism. As law enforcement officers, we work hard every day to protect the citizens of this great nation. The hate exhibited by Nazis and white nationalists only works to destabilize our communities and create unrest. It is disgraceful that the actions of these people who are filled with hate, evil, bigotry, and blatant racism can turn our neighborhoods into places of violence and death. Any comments supporting these actions should be condemned. No one in our society should applaud what has happened to this community and our country. Our thoughts and prayers go out to the victims of this violence and to the courageous officers that were injured and died doing their job of serving and protecting the community. Daryl Turner is president of the Portland Police Association in Oregon and The United Coalition of Public Safety (UCOPS) and works on behalf of law enforcement officers and the communities they serve nationwide to shape strong partnerships and break down communication barriers; building trust through active engagement, honest dialogue, education, and outreach.